Speak with professional zookeepers and observe animals up close. 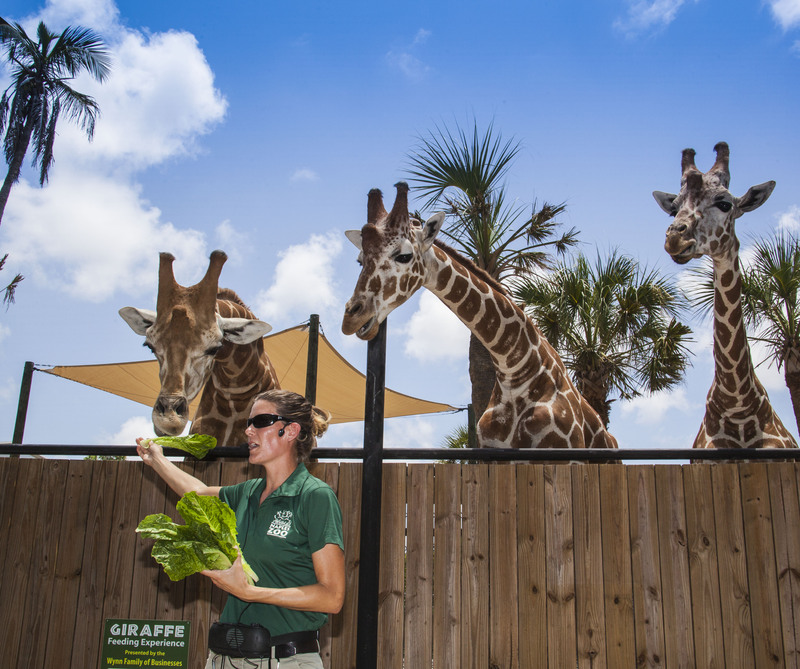 Throughout the day, you are invited to selected animal exhibits to "Meet the Keeper." Through these informal programs you'll learn about the animals in the wild.You'll also learn how animals are cared for outside the wild and how keepers safely care for dangerous carnivores. Keepers also show how they care for both the animals' physical and mental well-being through behavioral enrichment programs.You will discover how accredited zoos support the conservation of species for future generations both in and outside the wild. Best of all, you'll learn how you can help some of these species yourself! After a short presentation and background on the exhibit and its animals, this presentation becomes an open forum for questions and answers. In addition to understanding more about the creatures, you also see these animals at their most active as they relate to their keeper and encounter behavioral enrichment activities.